State-of-the-art algorithms for hard computational problems often expose many parameters that can be modified to improve empirical performance. However, manually exploring the resulting combinatorial space of parameter settings is tedious and tends to lead to unsatisfactory outcomes. Recently, automated approaches for solving this algorithm configuration problem have led to substantial improvements in the state of the art for solving various problems. 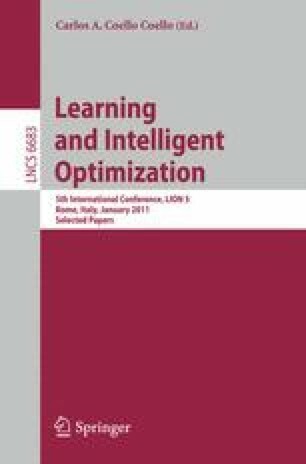 One promising approach constructs explicit regression models to describe the dependence of target algorithm performance on parameter settings; however, this approach has so far been limited to the optimization of few numerical algorithm parameters on single instances. In this paper, we extend this paradigm for the first time to general algorithm configuration problems, allowing many categorical parameters and optimization for sets of instances. We experimentally validate our new algorithm configuration procedure by optimizing a local search and a tree search solver for the propositional satisfiability problem (SAT), as well as the commercial mixed integer programming (MIP) solver CPLEX. In these experiments, our procedure yielded state-of-the-art performance, and in many cases outperformed the previous best configuration approach.